Double canopy 64" umbrella. 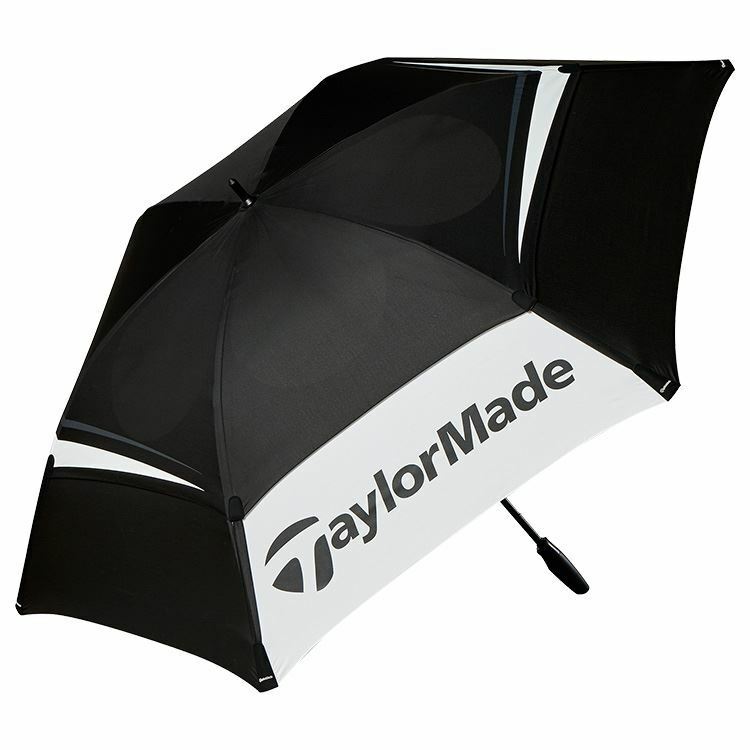 TaylorMade Tour umbrella in white, black and grey. Wind proof double canopy design vents the wind and stop the umbrella closing. Rubber handle makes it easy to carry.